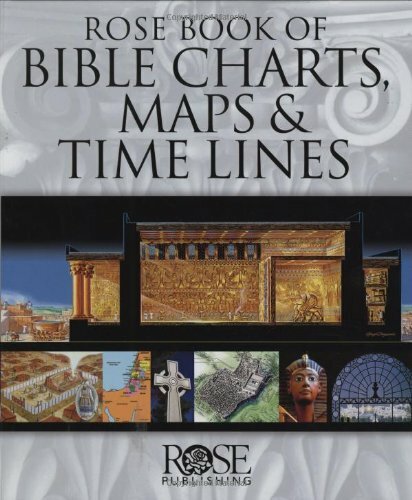 The bestselling "Rose Book Of Bible Charts, Maps & Time Lines" was the 2007 #1 Bible Reference book sold in Christian bookstores! Spiral bound for ease of use, this is a must-have for every pastor and teacher. It offers 180 pages of full-color Bible charts, maps, and time lines --all reproducible. A $250 value when items are purchased separately. "Book measures 11.25" x 9.5" x 1." Special hard cover hides spiral binding. Looks great on a bookshelf and opens flat for ease of use and for photocopying. Copies are limited to 300 per original document, in one church only."